Ford revealed the all-new Focus RS, a high-performance road car that debuts Ford Performance All-Wheel Drive with Dynamic Torque Vectoring Control, which contributes to performance never before seen in a Focus RS. 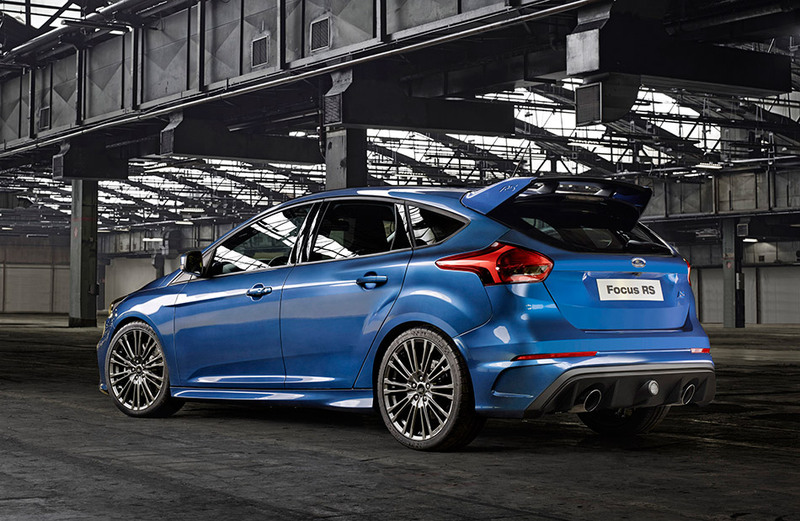 The all-new Focus RS is equipped with a new 2.3-liter EcoBoost® engine producing well in excess of 315 horsepower. In addition to pleasing enthusiasts, these vehicles help deliver the company's One Ford plan for profitable growth, product excellence and innovation in every part of its business. 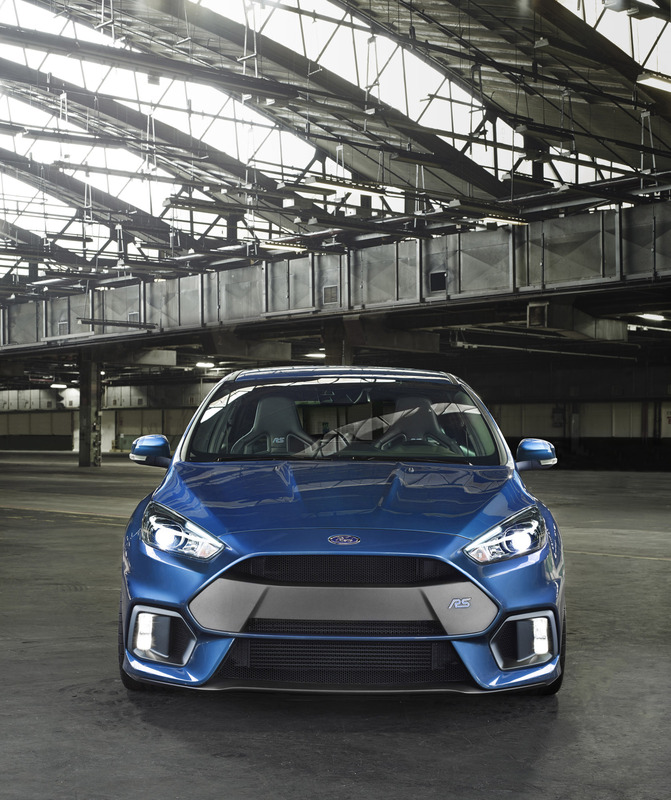 "The all-new Focus RS is a serious machine with high-performance technology and innovative engineering that sets a new benchmark for driving exhilaration on the road and track," said Raj Nair, group vice president, Global Product Development, Ford Motor Company. 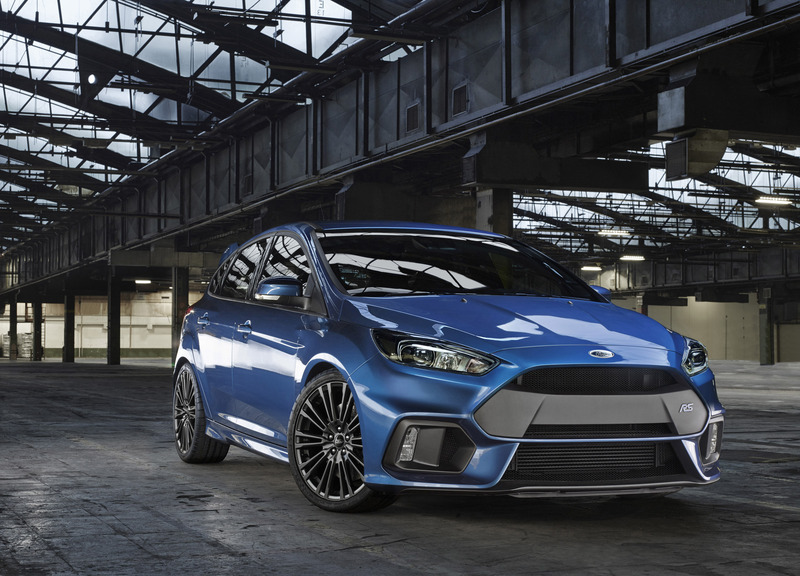 "The RS line has a proud history of technical breakthroughs that have migrated to mainstream Ford vehicles to benefit all of our customers, and the new Focus RS is no exception. It's a great example of our passion for innovation through performance, and creating vehicles that make people's hearts pound." 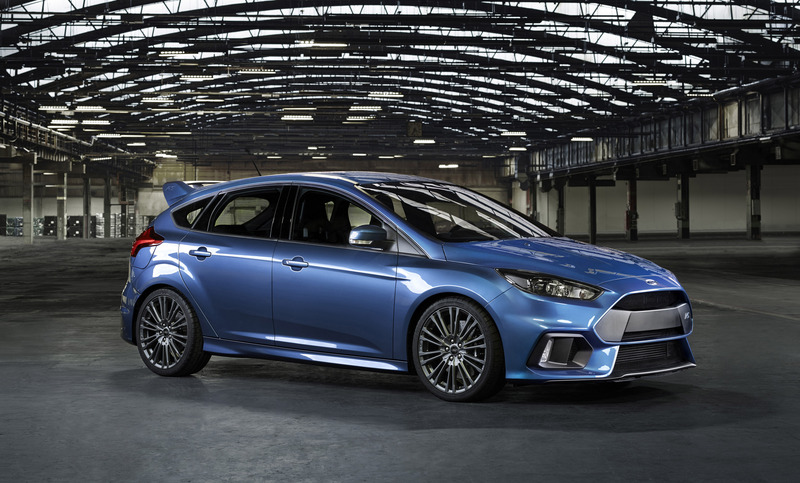 The all-new Focus RS is the first-ever RS model that will be sold around the world, including the United States, and produced for all markets at Ford's Saarlouis, Germany, manufacturing plant beginning late this year. "We are acutely aware of the benchmarks we have set ourselves with RS performance models through the years, and rest assured this new car raises the game to a new level," said Jim Farley, president, Ford of Europe, Middle East and Africa. "Just as important is the fact that with technologies such as EcoBoost, we are able to demonstrate how an innovation that powers almost every car in our range can also be the heartbeat of our finest performance cars," added Farley. The Ford Performance All-Wheel-Drive system is based on twin electronically controlled clutch packs on each side of the rear drive unit. These manage the car's front/rear torque split, and can control the side-to-side torque distribution on the rear axle – delivering the "torque vectoring" capability that has a dramatic impact on handling and cornering stability. During cornering, the rear drive unit pre-emptively diverts torque to the outer rear wheel immediately based on inputs such as steering wheel angle, lateral acceleration, yaw and speed. This torque transfer has the effect of "driving" the car into the bend, achieving improved turn-in and stability, and virtually eliminating understeer. To deliver optimum driving dynamics, the Ford Performance All-Wheel-Drive system was calibrated alongside the car's advanced Electronic Stability Control, in particular the brake-based Torque Vectoring Control system that works in parallel with the torque-vectoring AWD. Other exclusive chassis features include sports suspension with spring rates, bushings and antiroll bars – all of which are stiffer than those found in Focus ST, and two-mode switchable dampers, which offer a firmer setting for track driving. A carefully tuned electric power-assisted steering system working in combination with a more rigid front suspension knuckle design and shorter-link arms delivers connected and responsive steering with outstanding feel. 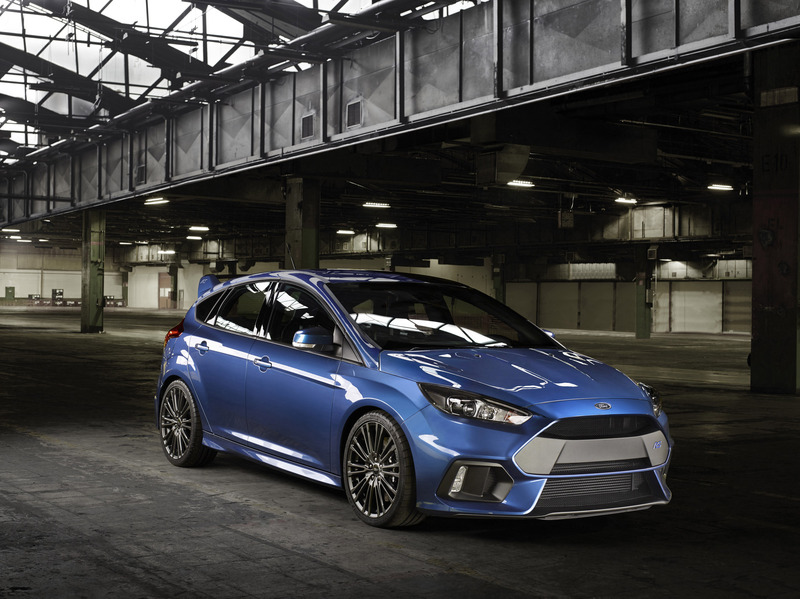 "The Focus ST and Fiesta ST showed that we can achieve sporty steering feel with an electric power-assisted steering system, and the RS raises the bar," said Dave Pericak, director, Global Ford Performance. "We set out to provide drivers with steering that is very direct, precise and well balanced – and the RS delivers." The vehicle's exterior design has also been developed to support the dynamic objectives. Careful aerodynamic optimization of the front splitter, rear spoiler and underbody features eliminates lift forces, and the final design delivers balanced performance with zero lift front and rear for optimum high-speed handling and stability. 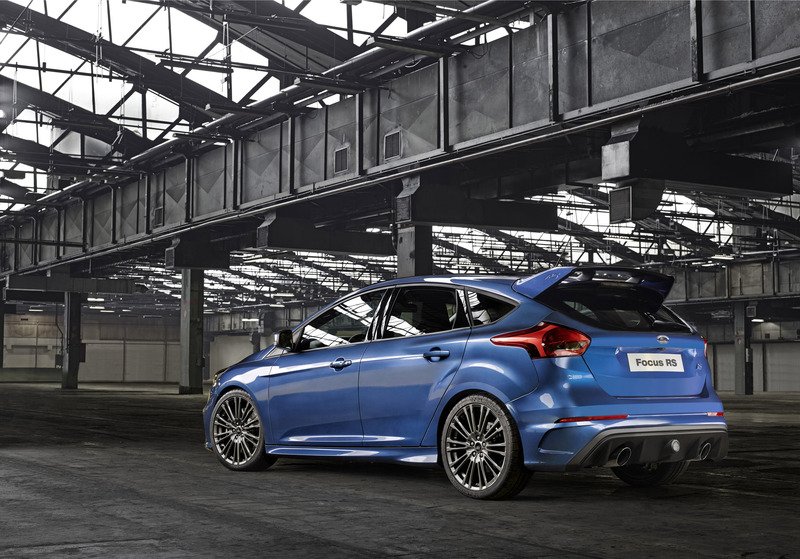 Ford's EcoBoost technology powers Focus RS and nearly every new Ford vehicle. The specially engineered 2.3-liter EcoBoost engine has levels of power and torque that translate into impressive acceleration when combined with the exceptional all-wheel-drive traction. The six-speed manual transmission has been optimized for the enthusiast driver with a shorter gear lever to deliver faster and more accurate shifts. Both the transmission and the clutch have been upgraded with stronger components to cope with the engine's increased torque output. At the rear, the fascia panel is dominated by the exceptionally large diffuser, which optimizes airflow from under the vehicle and contains the twin round high-performance exhaust outlets. Focus RS for Europe and Asia markets will also get a clear central fog lamp. The distinctive rear roof spoiler is carefully integrated with the car's silhouette through body-colored side panels featuring a subtle embossed RS logo.